1. Charlesworth B (1978) The population genetics of anisogamy. J. Theor. Biol. 73: 347–357. 4. 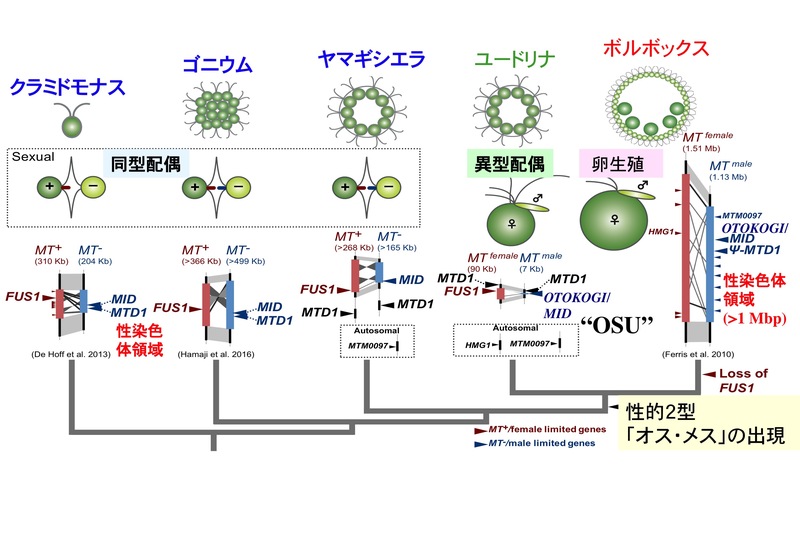 Ferris PJ, Goodenough UW (1997) Mating type in Chlamydomonas is specified by mid, the minus-dominance gene. Genetics 146: 859–869. 5. 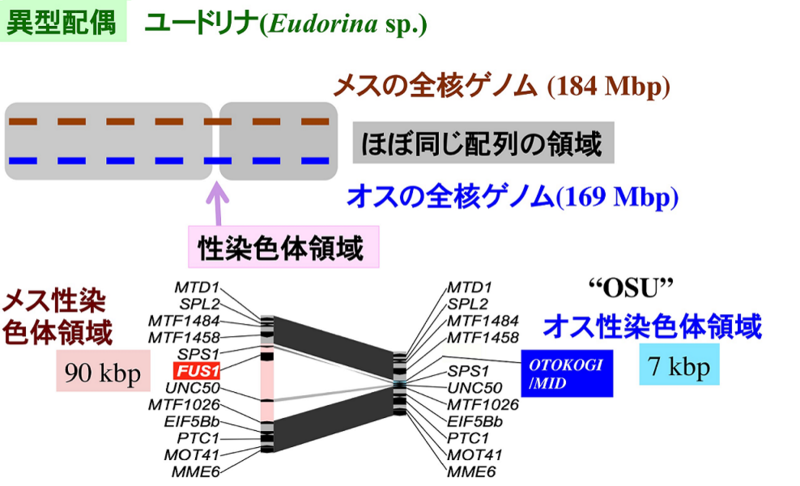 Nozaki H (2008) A new male-specific gene “OTOKOGI” from Pleodorina starrii (Volvocaceae, Chlorophyta) unveiling an origin of male and female. Biologia 63/6: 768-773. 6. Geng S, De Hoff P, Umen JG (2014) Evolution of sexes from an ancestral mating-type specification pathway. PLoS Biol. 12: e1001904. 7. Nozaki H, Kuroiwa T (1992) Ultrastructure of the extracellular matrix and taxonomy of Eudorina, Pleodorina and Yamagishiella gen. nov. (Volvocaceae, Chlorophyta). Phycologia 31: 529-541. 8. 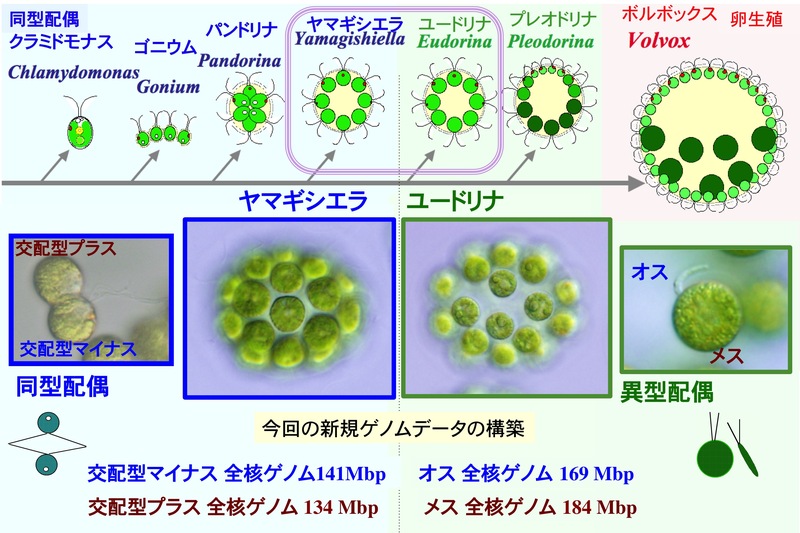 Nozaki H (2003) Origin and evolution of the genera Pleodorina and Volvox (Volvocales). Biologia 58: 425-431.